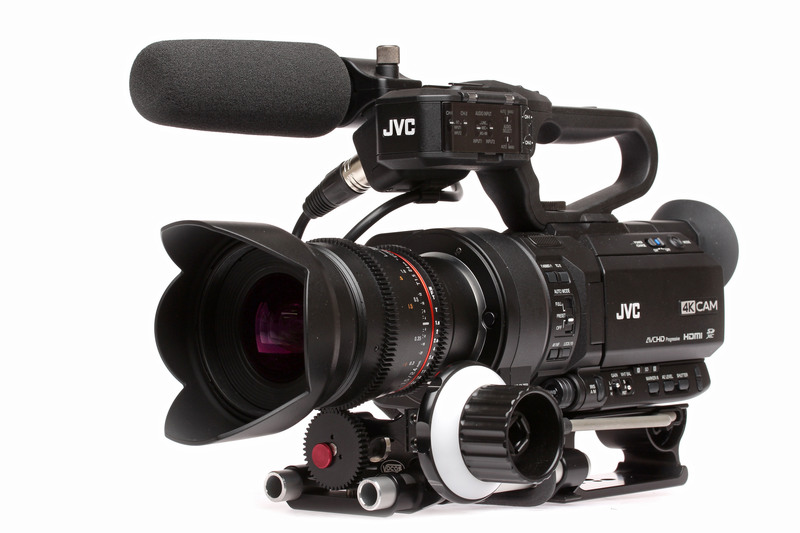 WAYNE, NJ (Feb. 17, 2016) – JVC Professional Video, a division of JVCKENWOOD USA Corporation, today announced a $1,000 instant rebate and new slow motion recording upgrade for the GY-LS300 4KCAM handheld Super 35 camcorder. Available via a free firmware upgrade in April, the slow motion mode records HD footage at up to 120 frames per second. Designed for cinematographers, documentarians, and broadcast production departments, the GY-LS300 features JVC's 4K Super 35 CMOS sensor and an industry standard Micro Four Thirds (MFT) lens mount. With its unique Variable Scan Mapping technology, the GY-LS300 adjusts the sensor to provide native support of MFT, PL, EF, and other lenses, which connect to the camera via third-party adapters. The technology also drives the Prime Zoom feature, which allows shooters using fixed-focal (prime) lenses to zoom in and out without losing resolution or depth of field. Other features include the “JVC Log” gamma setting, which expands dynamic range by 800 percent with film-like latitude, and a built-in HD streaming engine with Wi-Fi and 4G LTE connectivity for live transmission to hardware decoders or content delivery networks (CDNs). The camera records 4K, HD, and SD footage in a variety of formats to dual SDHC/SDXC card slots. The $1,000 instant rebate is valid only on new GY-LS300 camcorders purchased from an authorized JVC Professional Video Products dealer through March 31, 2016. The GY-LS300 is also eligible for a three-year extended parts and labor warranty. For more details, visit pro.jvc.com. Headquartered in Wayne, New Jersey, JVC Professional Video is a division of JVCKENWOOD USA Corporation, a wholly-owned subsidiary of JVCKENWOOD Corporation. The company is a leading manufacturer and distributor of broadcast and professional video and audio equipment, as well as D-ILA front projection systems. For more information, visit JVC’s Web site at http://pro.jvc.com or call (800) 582 5825.